Our informal knitting (and crocheting) group meets every first Saturday in the month between 2 pm and 4 pm. 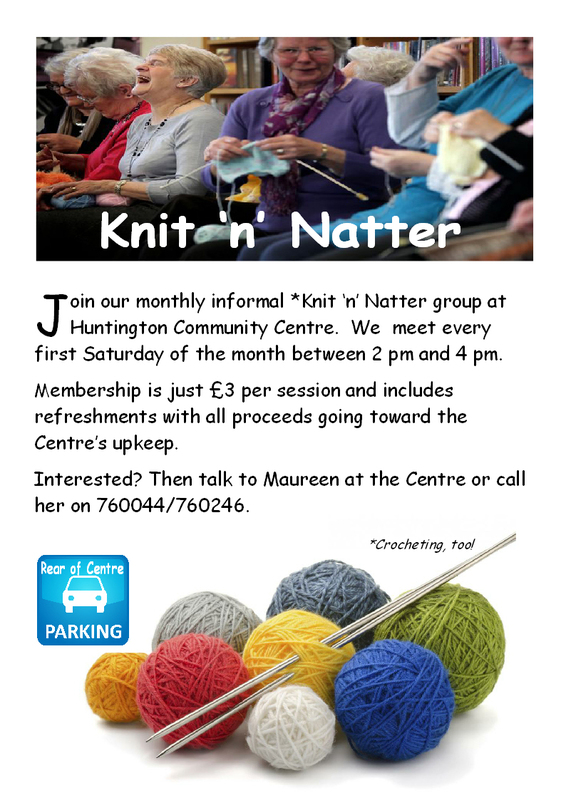 This is your opportunity to knit and chat with like minds for just £3 per session including refreshments. All the proceeds go towards the upkeep of the Centre. 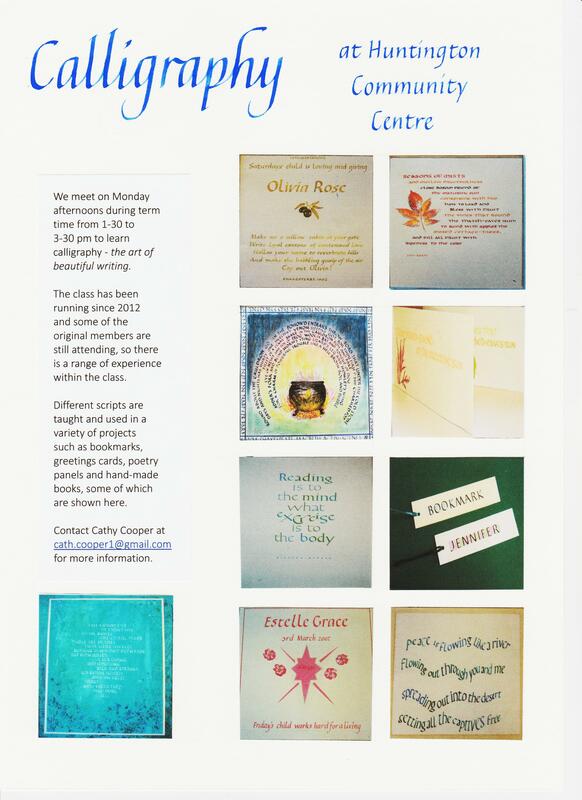 Some of our past events included a Centre Open Day at which local organisations put on displays to raise awareness of what they do and to attract new members and support. To celebrate The Queen's 60th Jubilee, the Centre had a party for the community with music and refreshments and a very popular Tombola. Centre celebrates 30 years and first new roof since 1877. Huntington Community Centre is 30 years old this year and to celebrate the achievement, we held a birthday party for our users, past and present trustees, staff, Huntington Parish and local City Councillors. A civic party comprising York's Lord Mayor and Lady Mayoress, and York's Sheriff and his Lady also attended. Lord Mayor, Cllr David Taylor, cut our birthday cake and paid tribute to the Centre for its great contribution to the community. The celebration also marked the completion of a major roof refurbishment - believed the be the first undertaken since the building was opened as a board school in 1877. However it was the parish school prior to that date, so the roof may be as old as 170 years. The work was funded by Huntington Parish Council and was finished on time and within budget. Main contractor was Sorrell Construction and the construction consultant was LHL Group.